The Series 30 probe enables remote near-IR measurements of heated and pressurized clear to slightly scattering liquid process streams. To perform this measurement two probes are required; one for transmitting the radiant energy and the other for collecting. 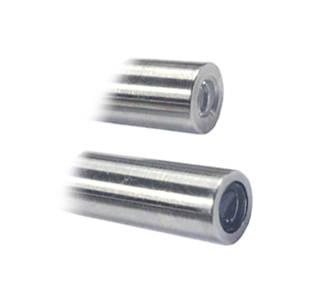 These probes use an optically efficient radius sapphire window to perform high transmission of a collimated beam. 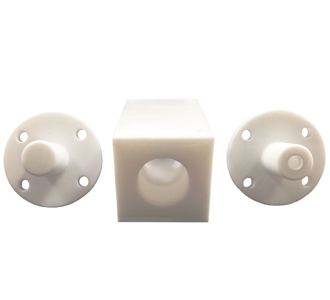 Removable pre-set fixed path length spacers are available as an option. The Series 40 laboratory probe is a precision optical instrument that allows remote fiber optic near-IR transmission measurement for materials such as highly scattering soft or hard organic powders, tablets, fermentation broths, slurries, food, textiles, non-woven and polymer beads. 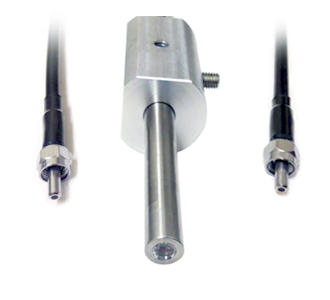 The probe comes with an integral bifurcated 3 meter long fiber optic assembly that terminates with two SMA connectors. The Series 60 laboratory probe is a precision optical instrument that allows remote fiber optic near-IR transmission measurement of clear or slightly scattering liquid process streams. The probe comes with an integral bifurcated 3 meter long 600 micron ultra low OH silica fibers that terminate in two SMA connectors, an optically efficient sapphire window, and reflecting mirror assembly. The Series 70 PTFE Liquid Transmission Cell is fiber coupled for unattended side-stream or in-line monitoring of heated and pressurized liquid process streams or gas mediums. The cell consists of two optically efficient sapphire windows that create a wide collimated beam across the interior of the cell. 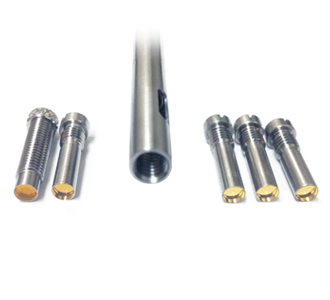 Options include precision spacers to adjust path length, channels for fluid temperature control, temperature sensor and clean out port.